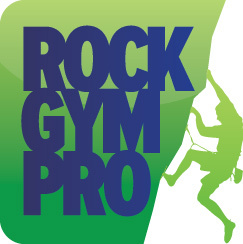 If you’re having issues with Rock Gym Pro, please scroll down for a list of troubleshooting tips. If you’ve left us a voicemail or sent us an email after hours we’ll be sure to get back to you as soon as possible. Monday – Friday, 8:30 am -5 pm PT. New Years Day, Memorial Day, Fourth of July, Labor Day, Thanksgiving, Day After Thanksgiving, Christmas. Check that date/time/and timezone on ALL your computers is correct. You can double-click on the clock within the RGP application to check to see if your times are correct. RGP uses a third-party monitoring system to check the status of our waiver system. You can view the system status here: http://stats.pingdom.com/1n7zptygqc1z/793524. If this system is reporting the RGP waiver system is up, then the problem is a networking issue within your LAN, internet provider, or a regional internet connection issue. This indicates RGP is having trouble validating your support key and is always caused by an intermittent internet connection problem. Be sure you can access the internet WITHIN INTERNET EXPLORER on the computer having trouble and then restart RGP. If you continue to have trouble, go to Data Entry -> Manage -> Settings and click the CHECK button next to the activation key. Restart every computer running RGP, including the MySQL server. If RGP continues to report too many connections, please download and run the MySQL Configuration Utility. If RGP stopped working and it is claiming MySQL is unreachable, then either MySQL has stopped working, your local area network has problems, Windows firewall is blocking MySQL, or the IP address of your server has changed or is not reachable. Be sure your MySQL server computer is running. This is the computer running your RGP database, not a workstation. Check that the MySQL service is running on your server. Go to Control Panel -> System -> Administrative Tools -> Services and look for the MySQL service and make sure it is started. Be sure your server computer is reachable on your network for things like file sharing and printing. If it is not reachable, check your network connections and hubs. Check the firewall on your MySQL server and be sure it is allowing MySQL inbound/outbound connections (port 3306). Sometimes Windows updates will turn on the firewall and start blocking MySQL. To test if the firewall is the problem, disable the Windows firewall on your server and see if that solves the problem. It is possible your server IP address has changed, or the name used to access it is not resolving, we do recommend a static IP address for your RGP server computer. Find someone who understands Windows networking and have them point the RGP workstations at the new IP address. They will need to find out the IP address of your server and then launch the RGP configuration wizard on each workstation and update the IP address. The configuration utility is located at Start -> Program Files -> Rock Gym Pro -> Utilities. All credit card processing functionality happens within an embedded web browser inside of the RGP application. If your credit card processing has stopped working, the most likely issue is a local or regional internet issue reaching OpenEdge’s web server. Alternately, OpenEdge could be having a temporary service disruption. If all other internet services are operating normally, please contact OpenEdge directly at 1-800-774-6462 option 2. Find another computer (Windows 8 and 10 work). If possible, make this computer have the same IP address as the old server. This will make connecting the workstations a non-event. Download and install RGP, including the built-in installation of the MySQL server, onto the new computer. Create a new, blank RGP database. You will need to enter in your Rock Gym Pro Plan activation key: go to Data Entry -> Manage -> Settings and enter in your support activation key that you hopefully put in a safe place. Then go to Data Entry -> Manage -> Maintenance -> Backup and Restore -> Offsite Archives and restore the latest archive. You will need to enter in your master encryption key and then re-enter your support activation key. Hopefully, you put your master key in a safe place as well! Then point all your workstations at the new server. Re-enter your support activation keys after restoration. You’ll also need to enable the transactional mail system and disable its test mode. You will want to uninstall MySQL server from the old computer to make sure it doesn’t “wake up” and download waivers. See the detailed instructions link below. If you require further assistance, please view the RGP Restoring/Moving RGP Database support page.